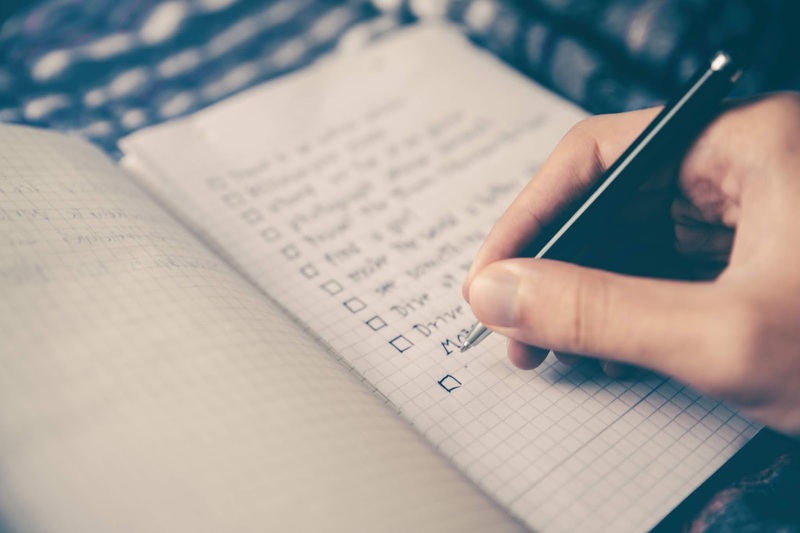 Although it may seem tedious, keeping an up-to-date list of your possessions is an important part of ensuring your homeowners insurance keeps you thoroughly covered. According to ISO, 5.3% of insured homeowners filed a claim in 2016, and about 97% of the claims included theft or property damage. However in the past nine years, only half of homeowners were said to have cataloged their possessions. With the exception of natural disasters, the national homeowners claim amount averaged about $8,772. Considering your computer alone could probably constitute about $2,000 of that, what does that mean for the rest of your belongings? Why Do You Need to Catalog Your Valuables? - Aside from the added benefit of finding things you forgot you had, creating a catalog of your possessions is the best way to prove what you have covered under your insurance. It’s also a good way to track your spending and find out what items might need additional valued item insurance. Having proof of possession is also a reliable way to speed up the claim process in the event of theft or damage to your property. Visual Evidence - Doing a walk-through of your home on video is an easy way to create your catalog. It’s important to clearly narrate what’s in frame as you go through your home, and be sure there’s a clear view of everything you’re listing. Additionally, don’t forget to go through your garage, as well as any other buildings on your property that your insurance covers. Another easy way to create your catalog is to take individual photos of anything you want covered. Make sure the photos are clear and aren’t cropped in a way that obscures the item or its location in the home. Your photos or videos don’t need to be professionally taken on expensive equipment, most smartphone cameras are high quality and will work just fine. Written Documentation - Having a written list of everything you have on video or in photos can be an essential addition to your catalog. You can use our convenient home inventory spreadsheet to help keep track of everything you own, including model numbers, serial numbers, and the price of the item when you purchased it, or an estimated current value if you don’t remember the purchase price. Even better, keep receipts to new items when possible. Be sure to have valuables like antiques, one-of-a-kinds, family heirlooms, expensive artwork, or fine jewelry appraised. You’ll want to check with your insurance agent for any limits on your policy, and discuss the possibility of adding valuable items, such as jewelry, to your homeowners or renters policy. Storing Your Catalog - Now that you’ve created your catalog, you’ll want to make sure it’s safe and accessible. If you created your catalog on paper, you’ll want to keep it in a fireproof safe or in a safety deposit box. You can also have your insurance agent keep a copy to ensure it isn’t destroyed by a fire or flood in your home. You can also use technology to keep a safe backup of your files. Uploading your catalog online to a cloud based server, or even emailing the document to yourself are all viable ways to ensure that an electronic copy of your records exists. Be sure to update your catalog with additional items as you make new purchases. Don’t forget to check out-of-sight places like your attic or shed for any valuables you may not see or think about every day. Include your regular “day-to-day” items as well. Things like your laptop, TV, engagement ring, couch, and silverware should all make the list. Include smaller appliances and sporting equipment too. Everything from hockey gear to an elliptical machine should be recorded. Spend extra time on your valuables, not just your great-great-grandmother’s Tiffany chandelier or Austrian tea crystal. Belongings like instruments, jewelry and art should all be appraised. You should catalog your clothing, but don’t worry about explicit detail. A general idea is fine when listing clothing, unless it’s a higher-priced item. When you’re done check with your insurance agent to know what is covered under your homeowners insurance to make sure you have the coverage you need. Even though this is a process, it’s important to make sure your belongings can be covered in the event of disaster or theft. This is also a useful exercise in understanding and identifying which items are most important to making your life work. Consider it an activity for a rainy Saturday that can involve the whole family. Make it a game, make it a contest, but mostly, make it a priority for your own peace of mind.